HARD work and a partnership between father and son has taken Butler Fabrication a long way in six years. Co-directors Chris and Denis Butler began the family business in a little garage shed at Chris's house, and has since delivered multi-million dollar projects. "We started doing the one ute, one caddie type of thing and worked up to bigger things," Denis said. Butler Fabrication began in Gladstone working for small businesses and the public before delivering services to the Gladstone Ports Corporation. 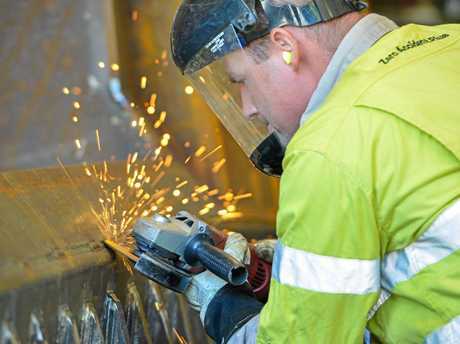 Their business does everything from concreting, demolition and structural steel, right through to maintenance, machinery repairs and mechanical fitting. "I wanted to do something with the boys and the boys started doing their apprenticeships with other firms and then we ended up building our own company," Denis said. Denis was a farmhand by trade, and being a jack of all trades, decided to start a family business after running a motel. "Some of the boys worked out and some of them didn't," he said. "Chris and I got it to where it is today. We just work hard really and last year we had two-multi million projects." Chris was doing an apprenticeship at another company and joined when the business became busy. While helping to run the family business is challenging, father and son get along and keep the business separate from their home life. 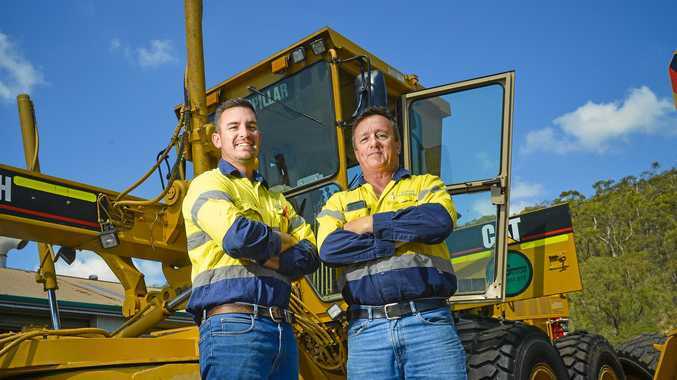 "We can argue at work and still drink beer at home and watch the footy," Chris said. Bigger and better: Butler Fabrication has come a long way in six years. These days, he is in the office working on project management on top of running workshops and supervising all on-site jobs. 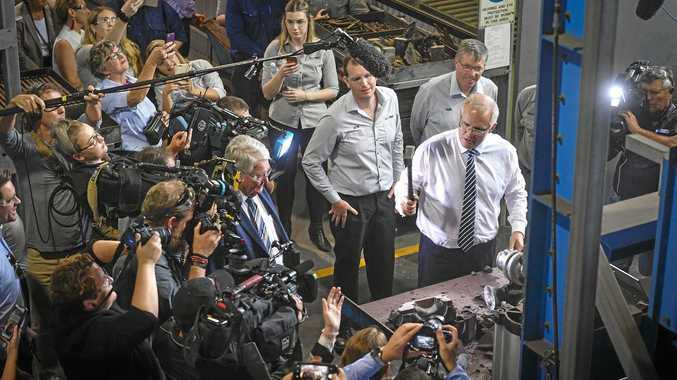 Although Butler Fabrication services and works with a number of Gladstone companies, there has also been work coming in from big cities such as Brisbane. "I think we're underestimated as a small company," Denis said. "I don't think that they realise the work that we do we can do, and that probably goes for all Gladstone companies too. That's one of the perceptions with us. "We aren't a massive company by any means but we will go up and down to suit the projects." The company has 11 full-time employees who are "always available".